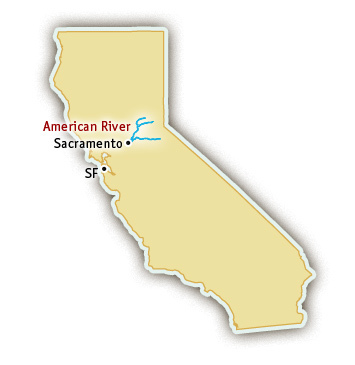 The North Fork of the American River is conveniently located close to Sacramento, the San Francisco Bay Area, and Lake Tahoe. 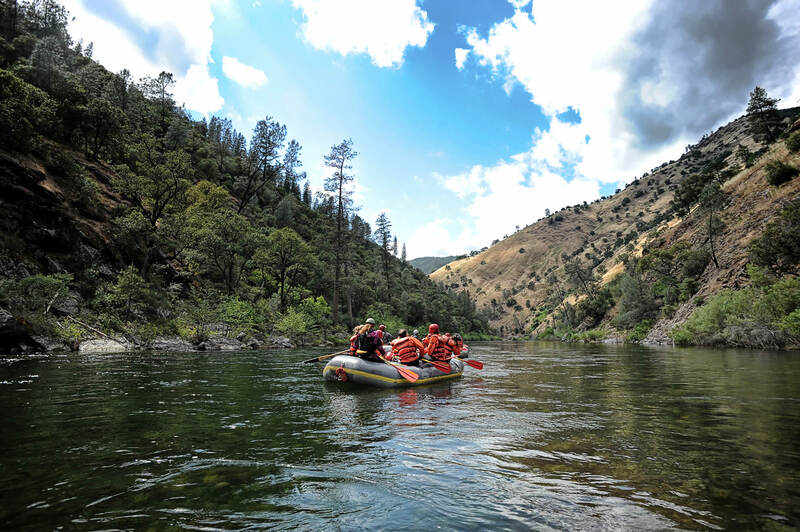 The free-flowing North Fork American River is the most difficult of the three forks, rated advanced Class IV+. 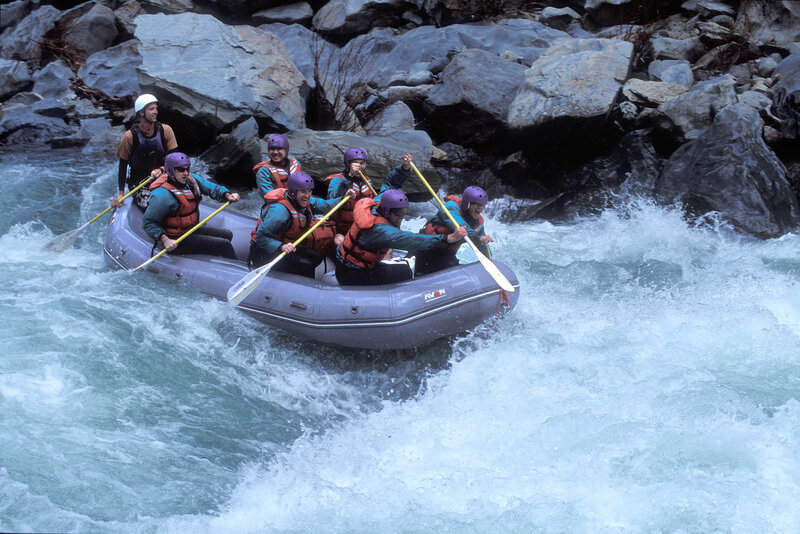 As it flows through a 2000′ deep canyon, lush foliage extends from high on the canyon ridges down to the whitewashed riverside cliffs, while streams from side canyons cascade into the incredibly clear North Fork American. 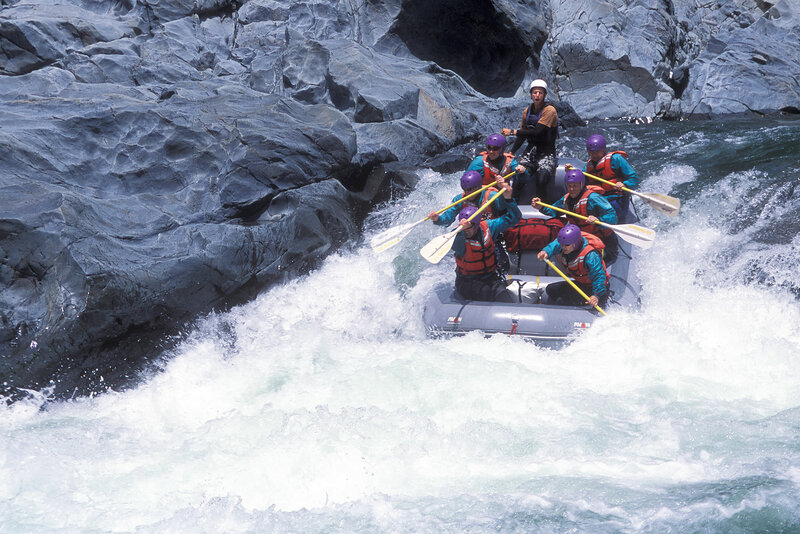 All-Outdoors California Whitewater Rafting is one of the original California outfitters. 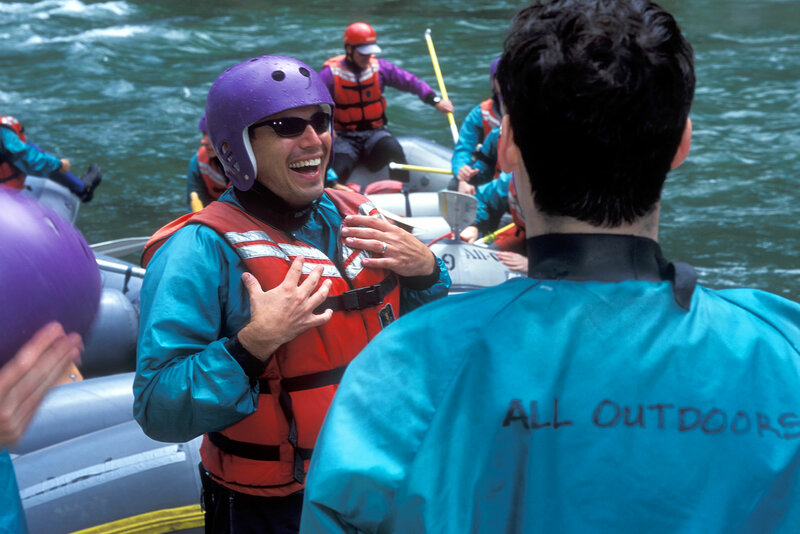 With over 45 years of experience they are also one of the most respected rafting outfitters in California. 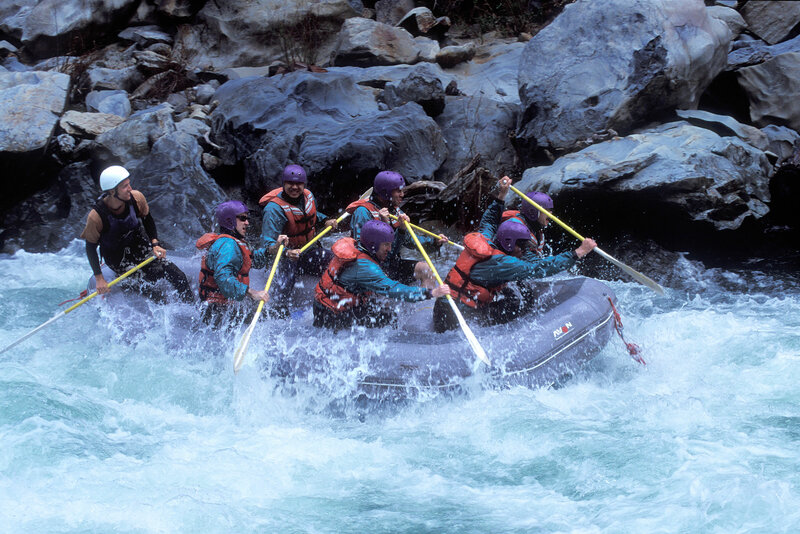 They were recommended by Lonely Planet in California Trips, 2009. 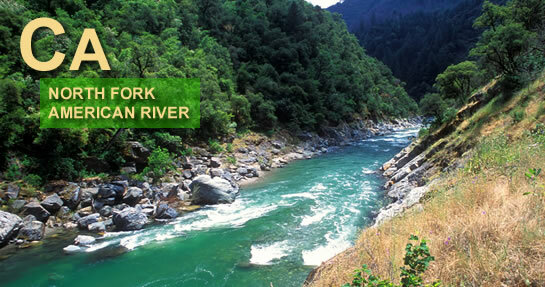 They run one day trips on the North Fork American, a very popular California springtime run. 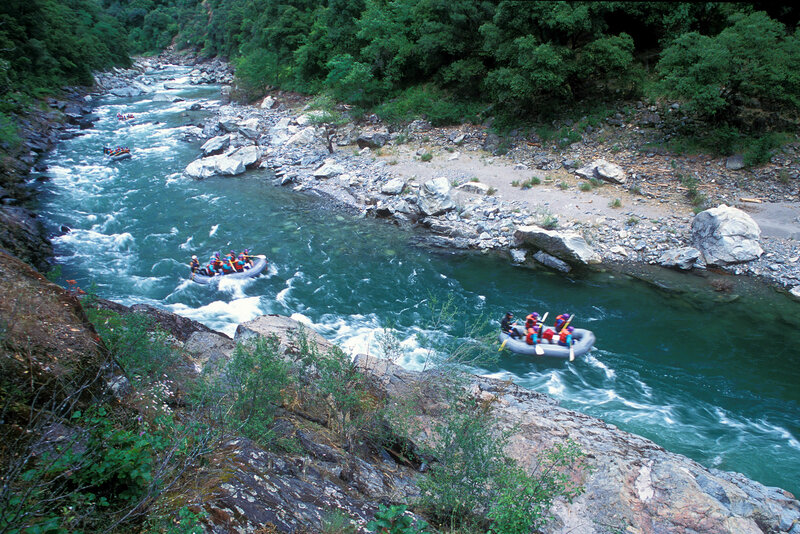 Visit their website for more information about North Fork American River rafting. 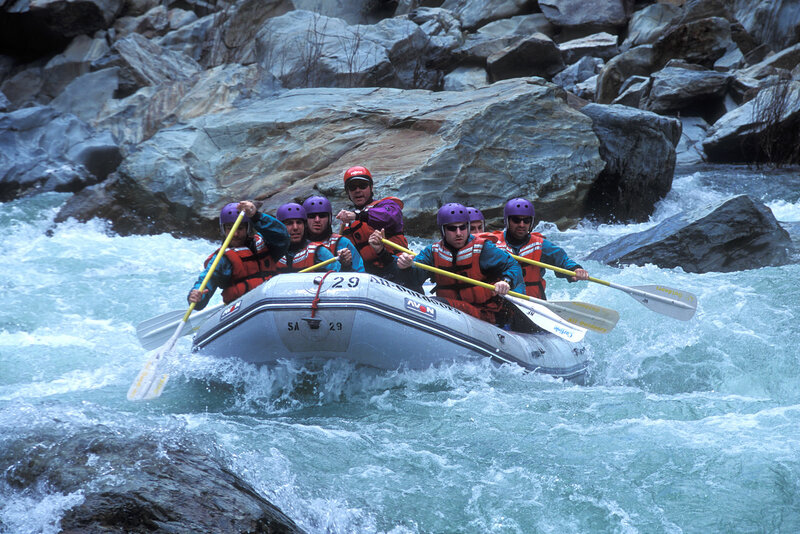 The entire length of the North Fork is 9.5 miles. 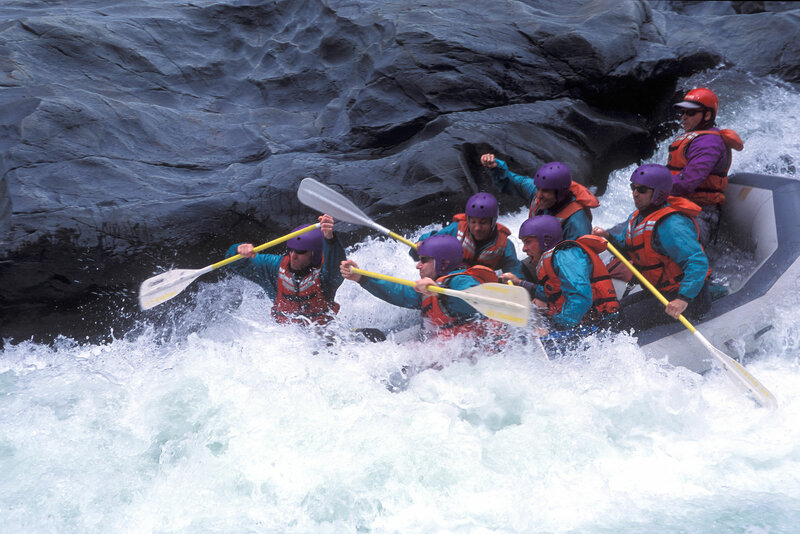 The excitement begins immediately as you enter Chamberlain Falls Gorge. Slaughter’s Sluice, the first rapid, is a long series of pinball maneuvers that culminates at the infamous 7′ Chamberlain Falls! 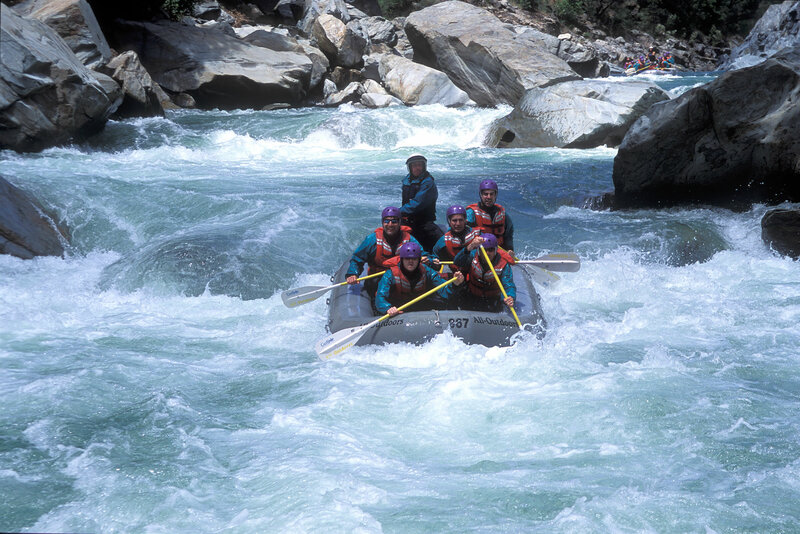 Zig-Zag, Achilles Heel, Bogus Thunder and Staircase rapids, located further downstream, require intricate moves to negotiate through slalom courses of giant boulders and steep drops. 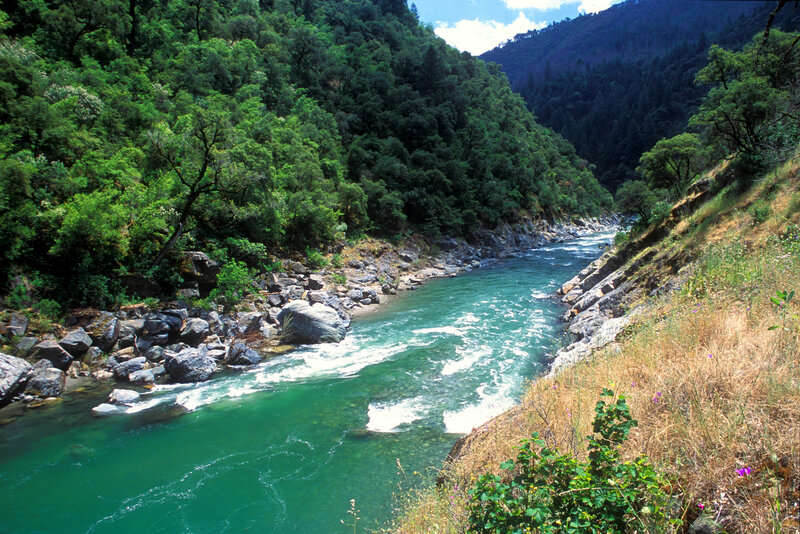 Completely dependent on melting snow from the Sierra Nevada, the North Fork is a spring river and usually runs during April and May. An above average snowpack will extend the season into June.